Researchers using supercomputer simulations have exposed a very violent and critical relationship between interstellar gas and dark matter when galaxies are born — one that has been largely ignored by the current model of how the universe evolved. 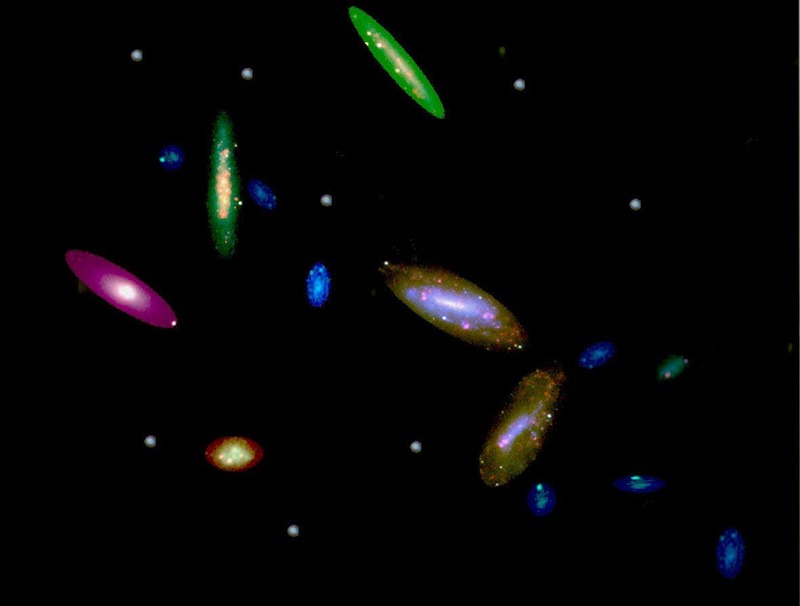 The findings, published in Science, solve a longstanding problem of the widely accepted model — Cold Dark Matter cosmology — which suggests there is much more dark matter in the central regions of galaxies than actual scientific observations suggest. "This standard model has been hugely successful on the largest of scales–those above a few million light-years–but suffers from several persistent difficulties in predicting the internal properties of galaxies," says Sergey Mashchenko, research associate in the Department of Physics & Astronomy at McMaster University. "One of the most troublesome issues concerns the mysterious dark matter that dominates the mass of most galaxies." Supercomputer cosmological simulations prove that this problem can be resolved. Researchers modeled the formation of a dwarf galaxy to illustrate the very violent processes galaxies go through at their births, a process in which dense gas clouds in the galaxy form massive stars, which, at the ends of their lives, erupt as supernovae spreading the building block of life through the universe. "These huge explosions push the interstellar gas clouds back and forth in the center of the galaxy," says Mashchenko, the lead author of the study. "Our high-resolution model did extremely accurate simulations, showing that this 'sloshing' effect — similar to water in a bathtub– kicks most of the dark matter out of the center of the galaxy."